Quality, taste and production efficiency are top priorities for all brewery professionals. With an Alfa Laval Brew 701 eMotion™ beer centrifuge, you get the market’s leading solution for pre-clarification and polishing of beer. It’s a smart, simple solution for optimizing energy costs while securing easy maintenance and excellent product quality. 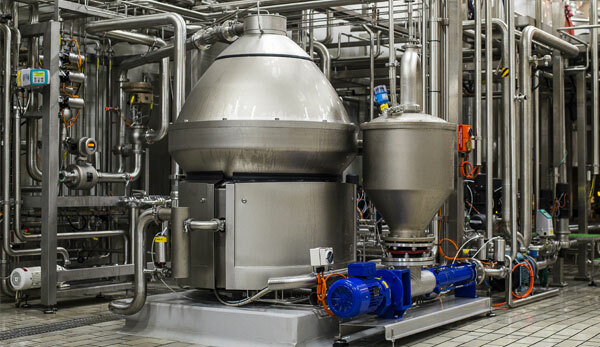 An Alfa Laval Brew 701 eMotion™ has up to 70% lower power consumption compared to traditional beer centrifuges. That means zero energy cost for roughly every second batch you process with a Brew 701 eMotion™. So when it comes to your power bill, the next round is on us. All in all, if you are looking for the best centrifuge in terms of efficiency, environmental impact and beer quality, Alfa Laval Brew 701 eMotion™ is the system for you. 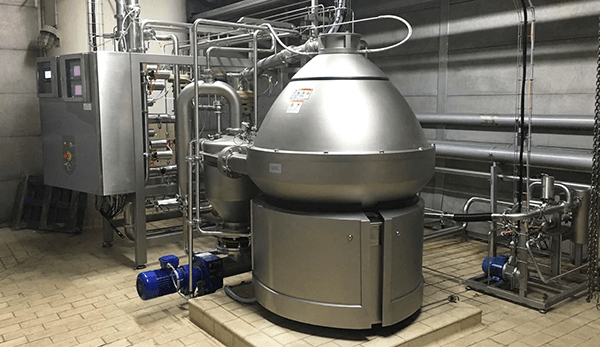 eMotion™ reduces the air pressure in the space between the centrifuge’s rotating bowl and frame casing to minimize air friction, thereby reducing energy consumption by around 40% compared to a Brew 701e, equipped with eDrive alone. It also lowers the temperature of the bowl, thereby minimizing cooling requirements. With eMotion™, frame temperatures stay below 30°C (86°F), offering an improved working environment and making CIP cleaning easier. With Alfa Laval Brew 701 eMotion™, breweries can cut power consumption by up to 70% compared to traditional top-fed centrifuges. See what the results could be in your brewery. With Alfa Laval as your partner, you have the full backing of our global network of dedicated service experts. We offer a range of services to support your separation system throughout its lifetime, including condition monitoring to give you insights into the actual state of your equipment as well as upgrades that improve centrifuge performance. Our experts can also train your operators how to optimize your system for the long term. And when you need spares, our distribution network can quickly supply you with the required parts – wherever you are in the world. All in all, if you are looking for the best centrifuge in terms of efficiency, environmental impact and beer quality, Alfa Laval Brew 701 eMotion™ is the system for you. Are you looking for a professional and reliable equipment for your brewery? See our complete range of centrifugal separators for beer production. 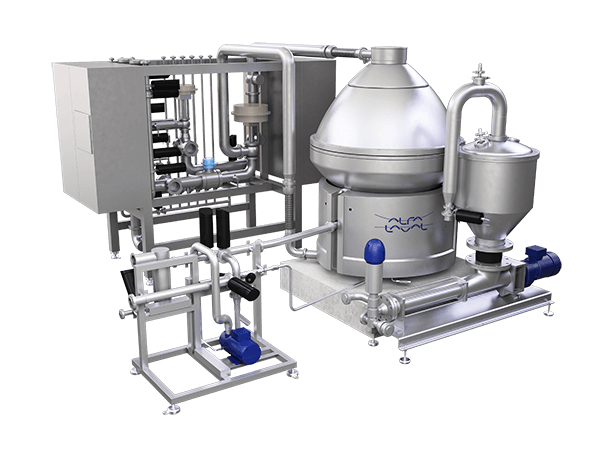 Alfa Laval has been the leader in the development of centrifugal separation technology for more than a century. We are glad to share our expertise with you. Visit our Separator Innovator knowledge hub to get to know about our latest innovations for the separation industry.